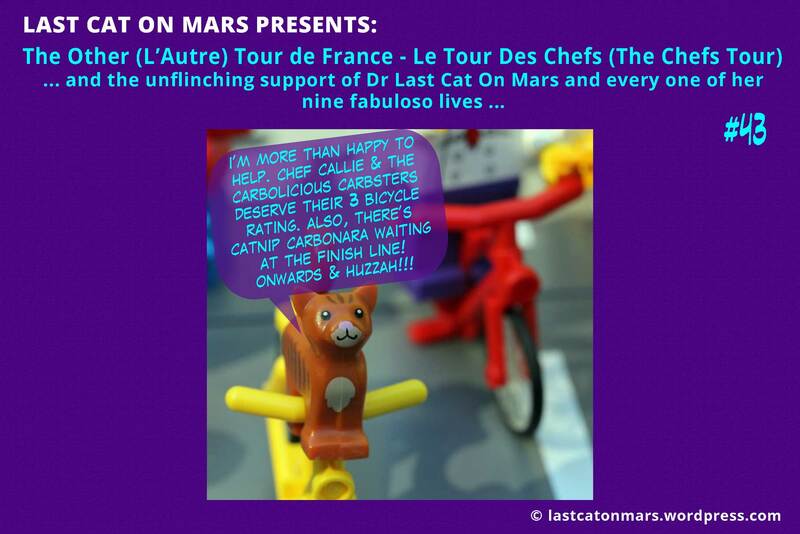 This entry was posted in The Other Tour de France and tagged cats, chefs, cycling, food, lego, minifigures, panel 46, The Chefs Tour, the end, the other tour de france on September 27, 2014 by Jay Verney. 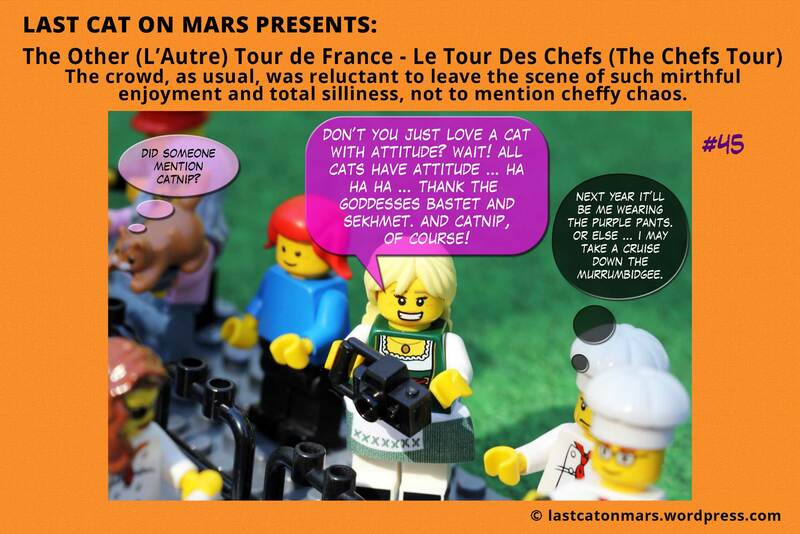 This entry was posted in The Other Tour de France and tagged cats, chefs, cycling, lego, minifigures, panel 45, The Chefs Tour, the other tour de france on September 26, 2014 by Jay Verney. 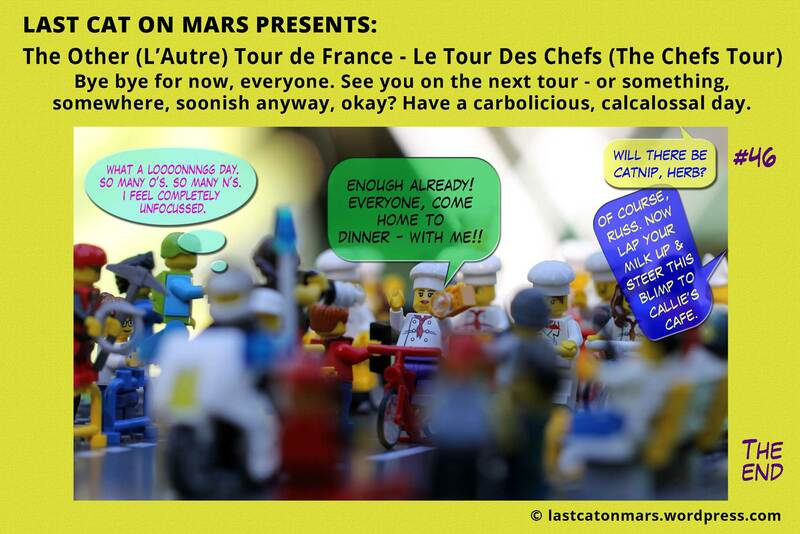 This entry was posted in The Other Tour de France and tagged cats, chefs, food, lego, minifigures, panel 44, The Chefs Tour, the other tour de france on September 25, 2014 by Jay Verney. 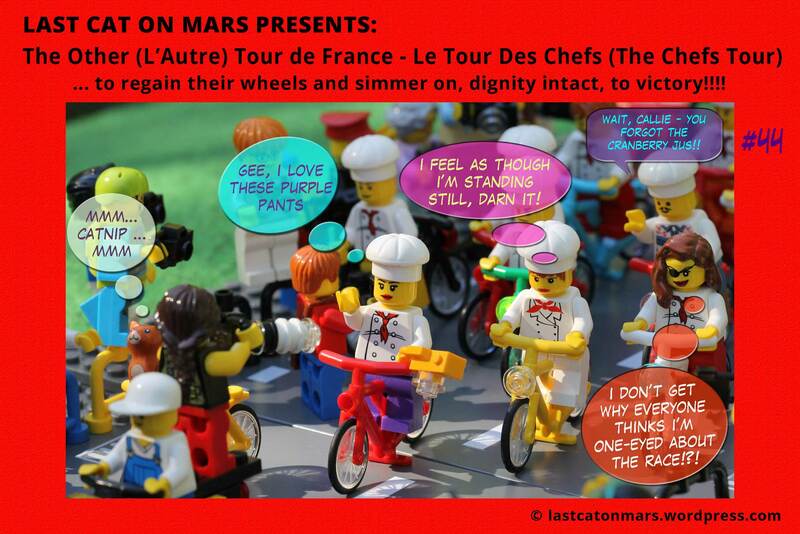 This entry was posted in The Other Tour de France and tagged cats, chefs, cycling, lego, minifigures, panel 43, The Chefs Tour, the other tour de france on September 24, 2014 by Jay Verney. 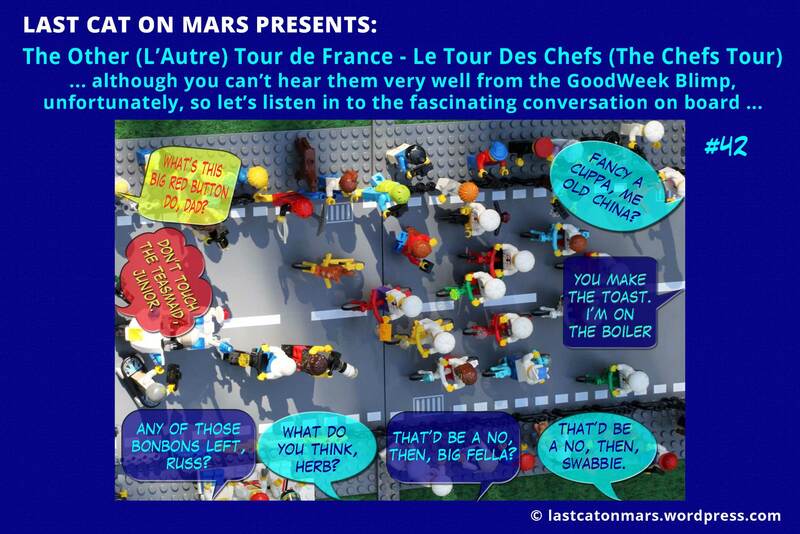 This entry was posted in The Other Tour de France and tagged blimp, chefs, cycling, lego, minifigures, panel 42, The Chefs Tour, the other tour de france on September 23, 2014 by Jay Verney. 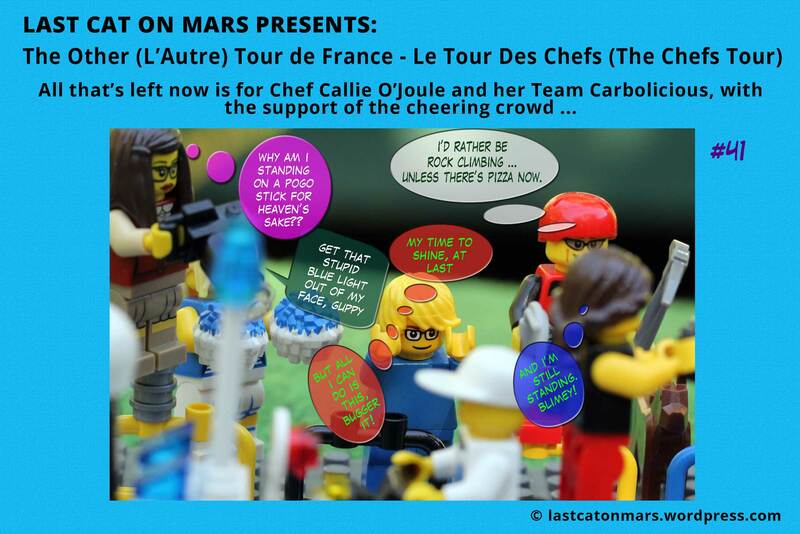 This entry was posted in The Other Tour de France and tagged chefs, cycling, lego, minifigures, panel 41, photographer, The Chefs Tour, the other tour de france on September 22, 2014 by Jay Verney. 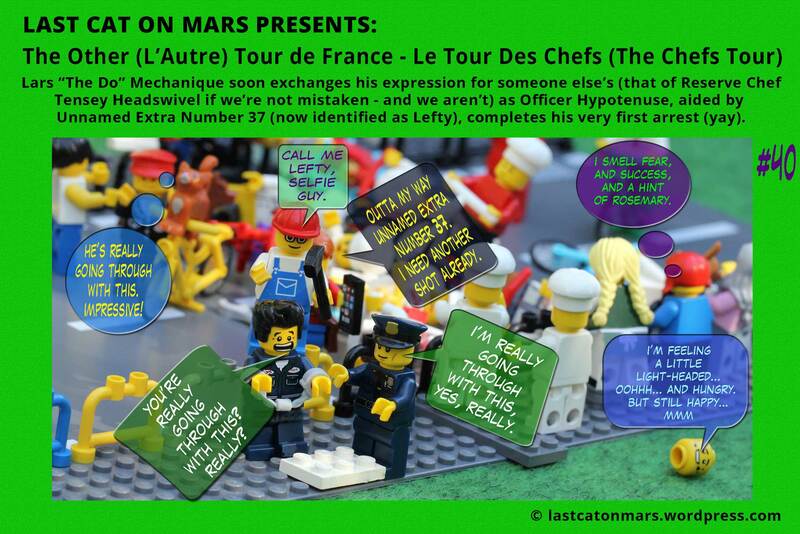 This entry was posted in The Other Tour de France and tagged arrest, chefs, cycling, lego, minifigures, The Chefs Tour, the other tour de france, [ame; 40. spanner guy on September 21, 2014 by Jay Verney.